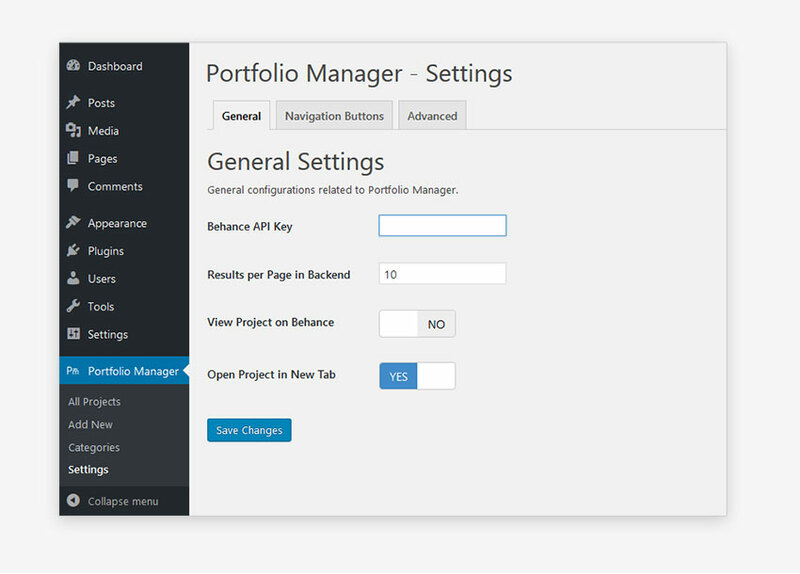 Portfolio Manager – Powered by Behance is a professional WordPress Plugin developed by eLEOPARD Design Studios. It provides users the capability to integrate Behance Projects on their WordPress website and develop a neat, flexible and effective portfolio. 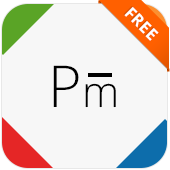 This Plugin helps in reducing the efforts required in project management. 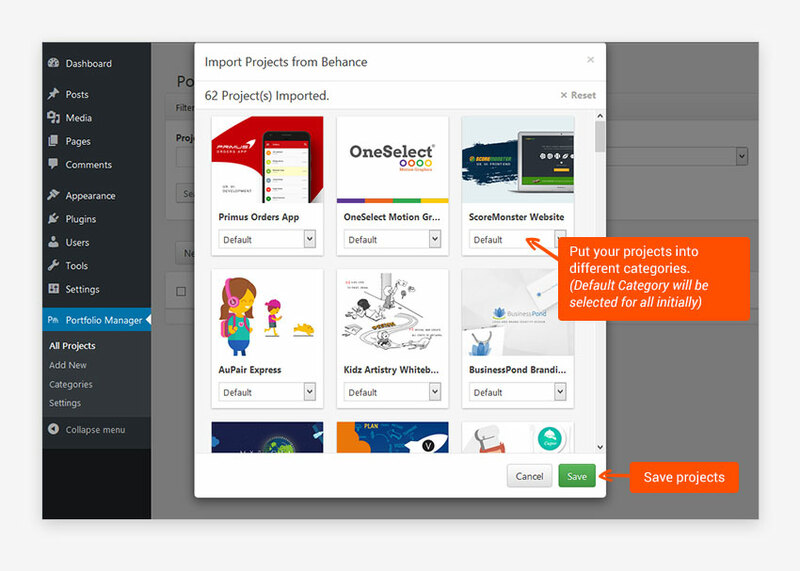 It picks up the project details from Behance server so that user can manage all their projects at a centralized location in Behance. 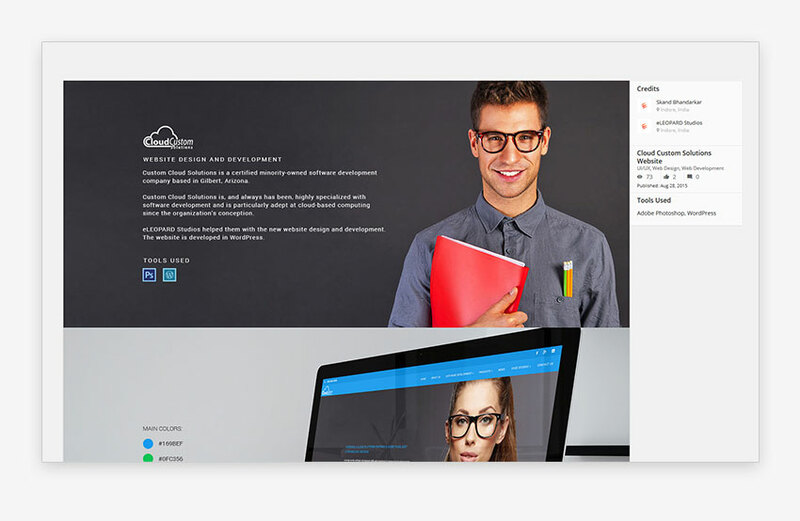 User can present the portfolio on their websites using different styles and views provided. 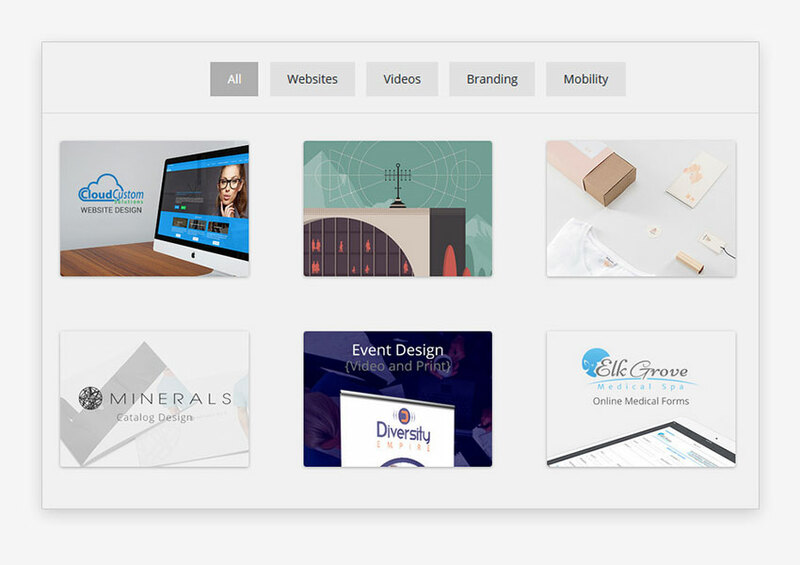 Create a Behance profile and add all the projects that you want to present on your website. 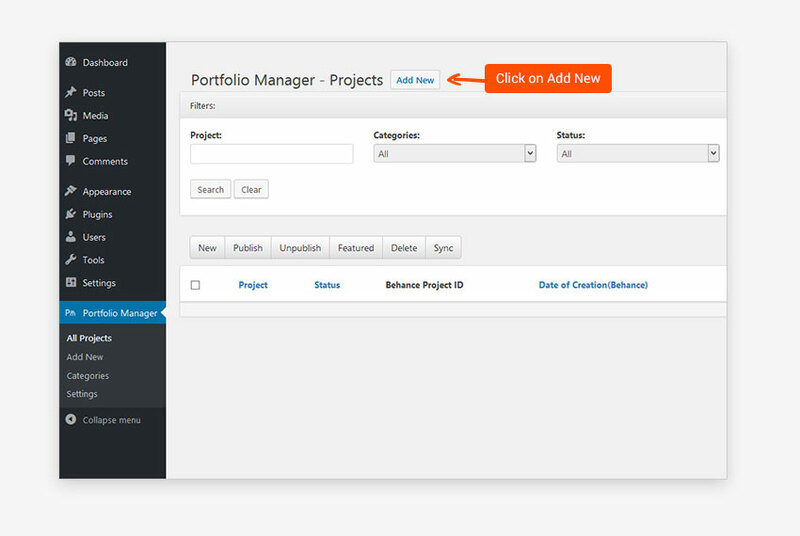 Download and Install “Portfolio Manager – Powered By Behance”. 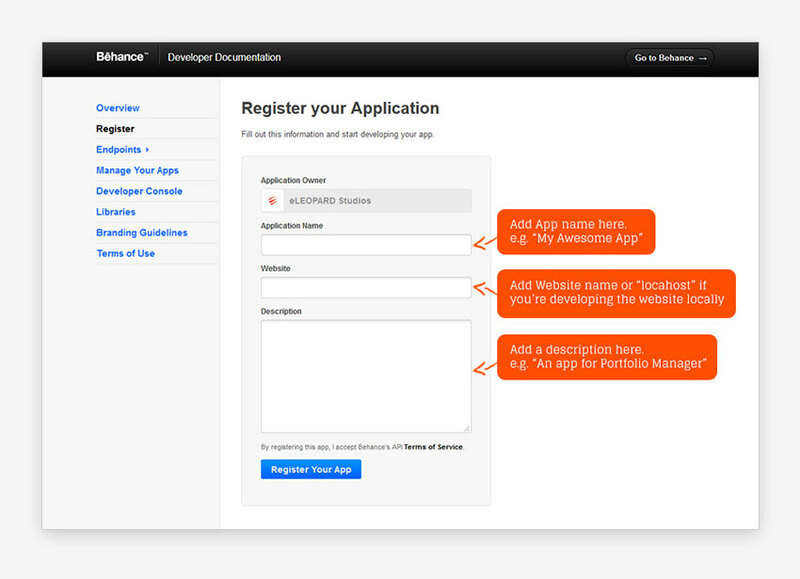 Enter your Behance App API key in Configuration. Multiple styles for Mosaic/ Grid Views. Filters to show/ hide project specific information provided by Behance. Tab customization for Mosaic/Grid view. 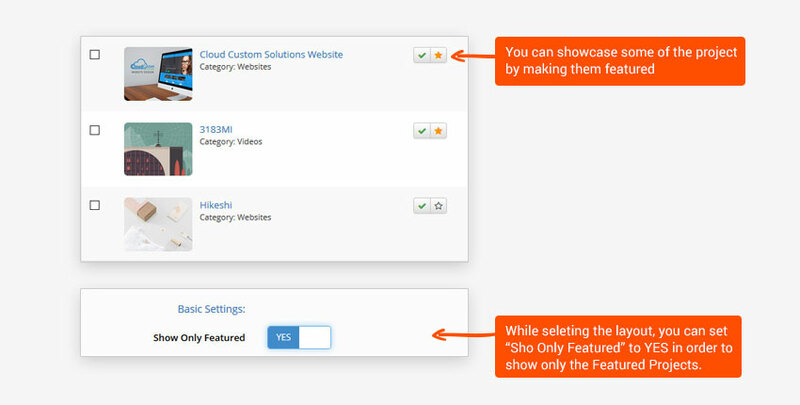 Different Shortcodes to present single or multiple projects of specific or number of categories. To add custom styling for the Project view. 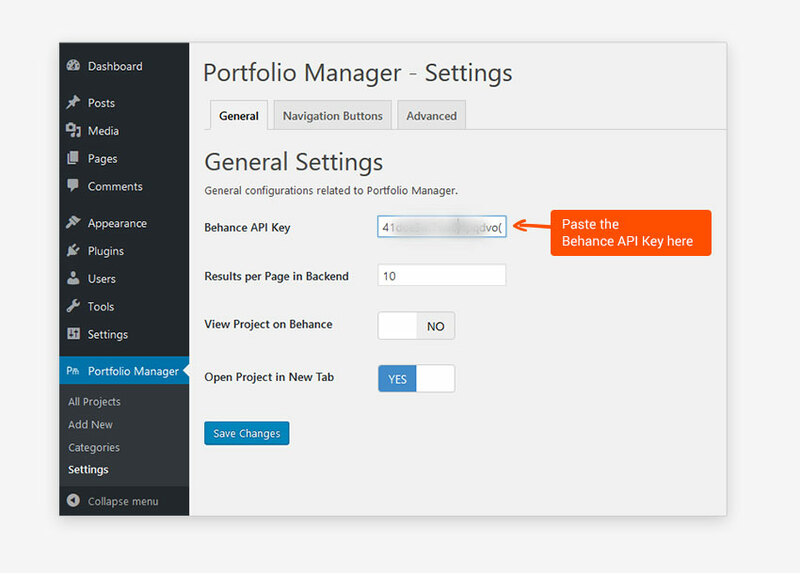 Step 2: Install the Portfolio Manager Plugin using the Add New Plugin. 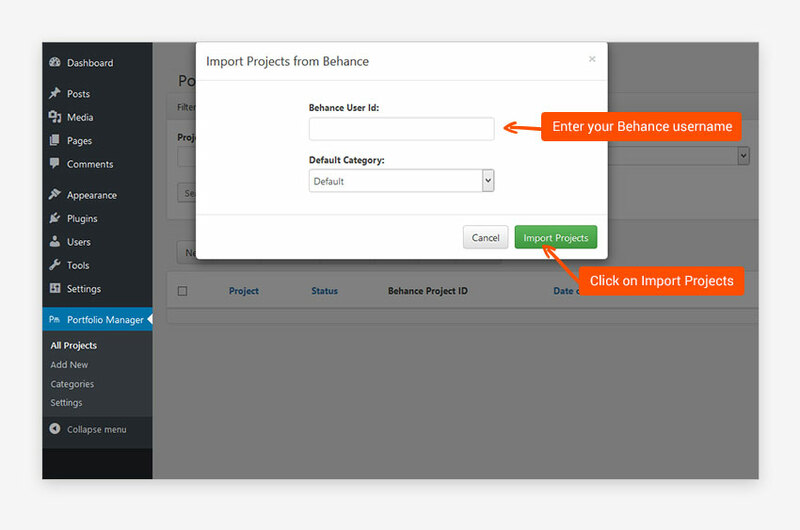 Under “General” tab paste the Behance API Key and click on "Save Changes button. 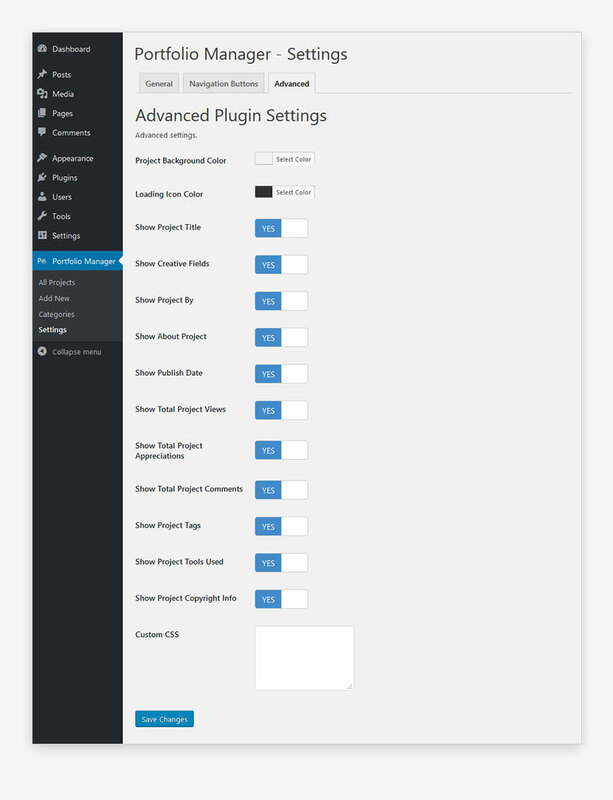 Now your Plugin is ready to go. Step 3:After a few seconds, you can see all your projects. 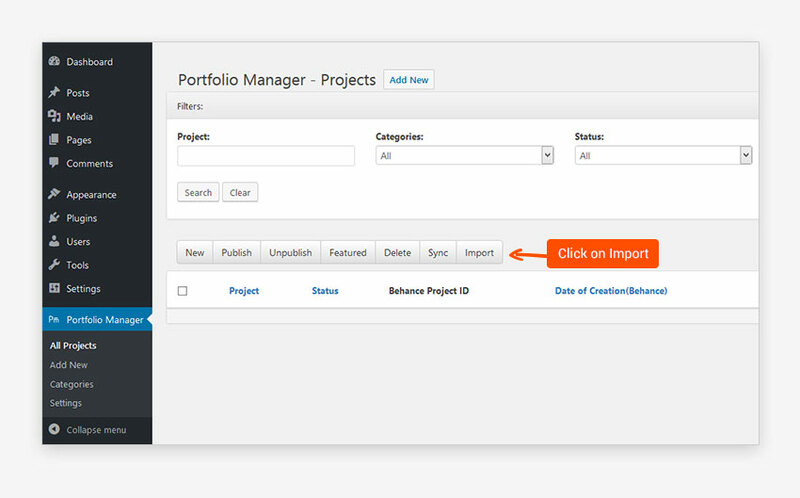 you can select different categories for individual projects as well. 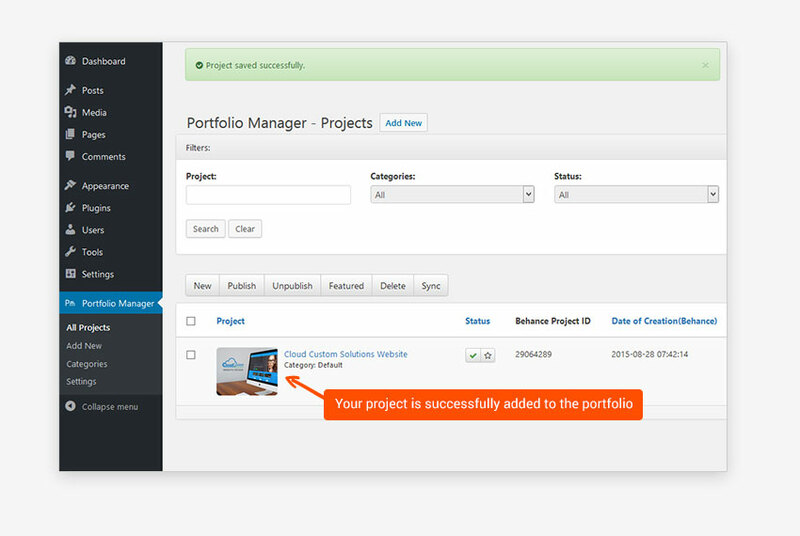 Step 3: Review the Project, Select the category you want the project save in, and click "Save and Close"
Presenting Portfolio on your website. 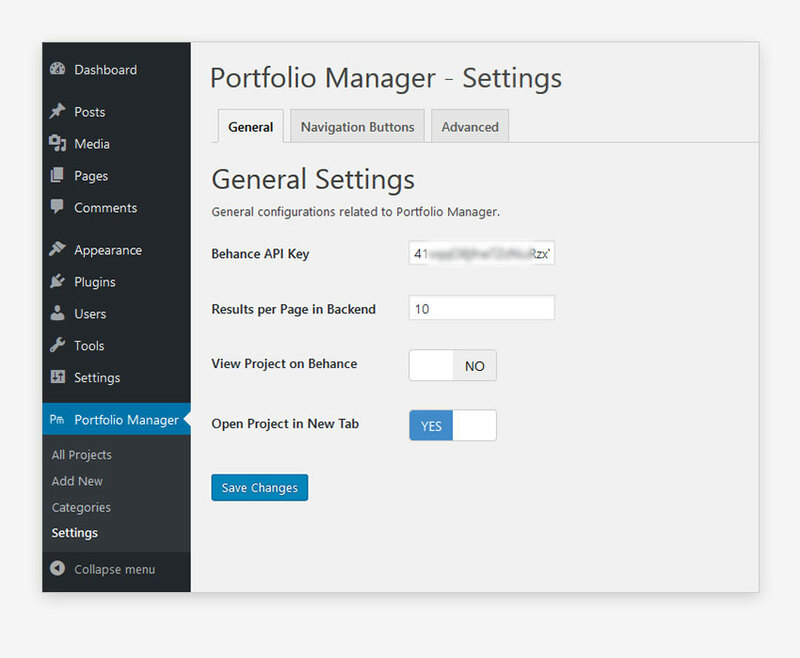 Till now we have configured our portfolio using Portfolio Manager – Powered by Behance backend panel. Now we will see how to present this portfolio at front end of our website. 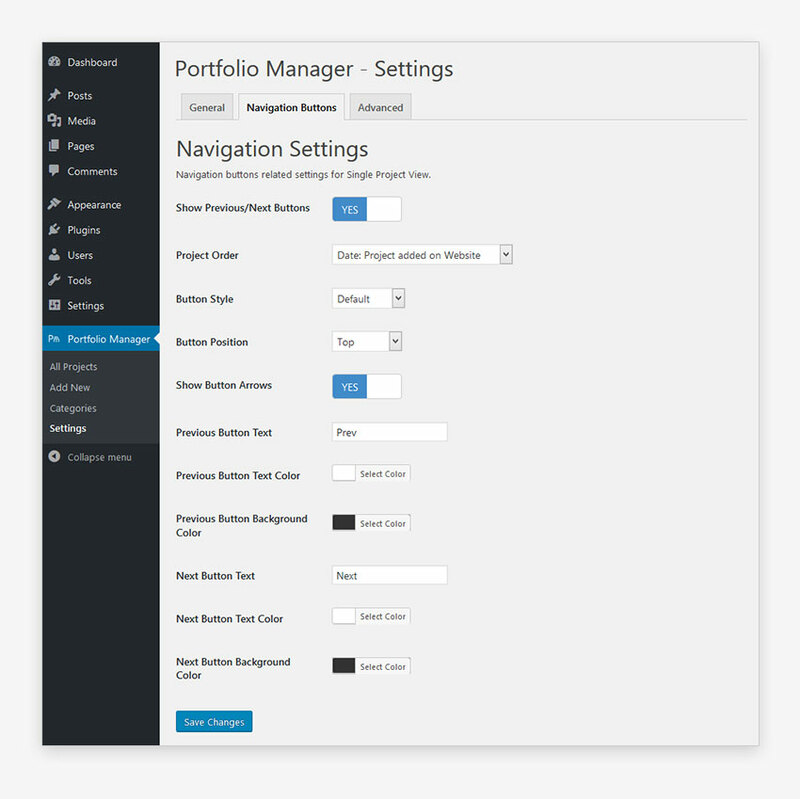 Step 1: Open any Post/Page and click on Portfolio Manager Icon. Voila! 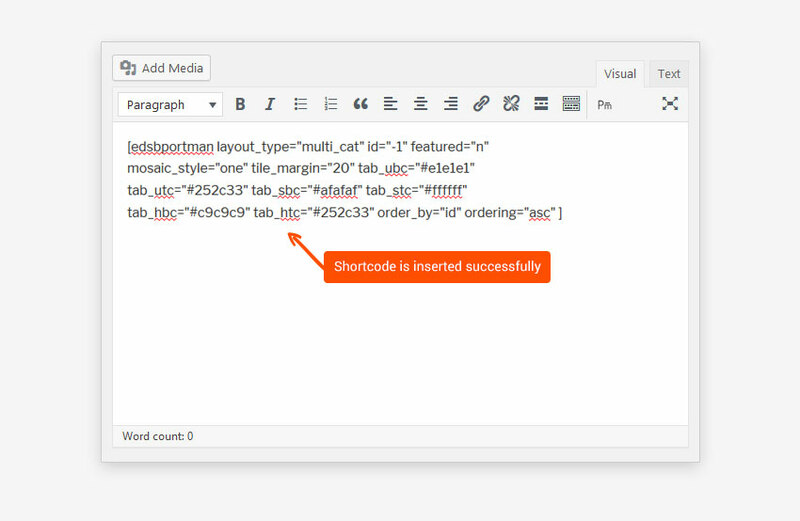 you are done.A shortcode will be inserted to your Page/Post, which will display the layout you selected. 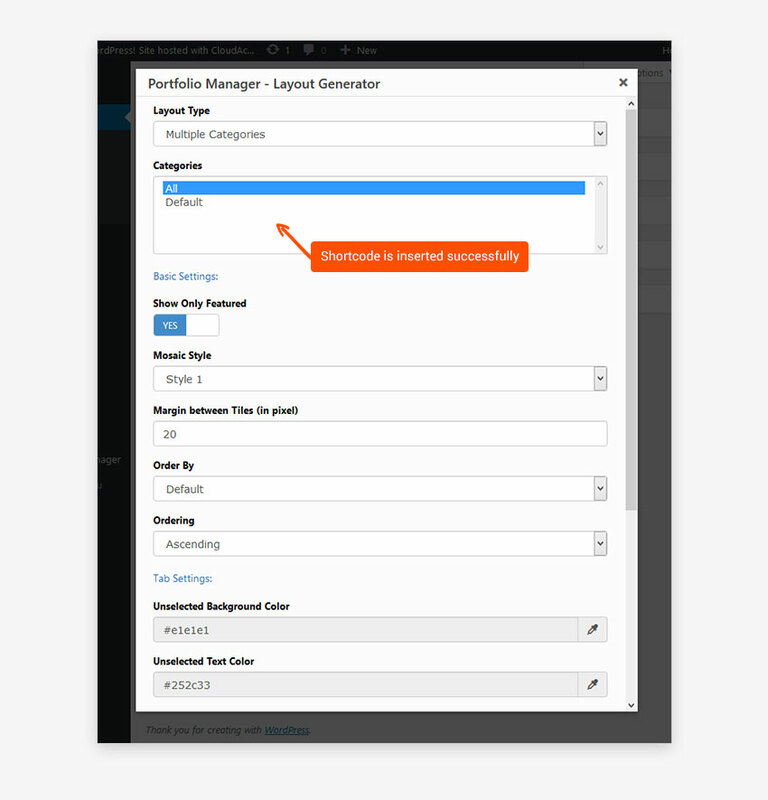 This option will let you select a single project. 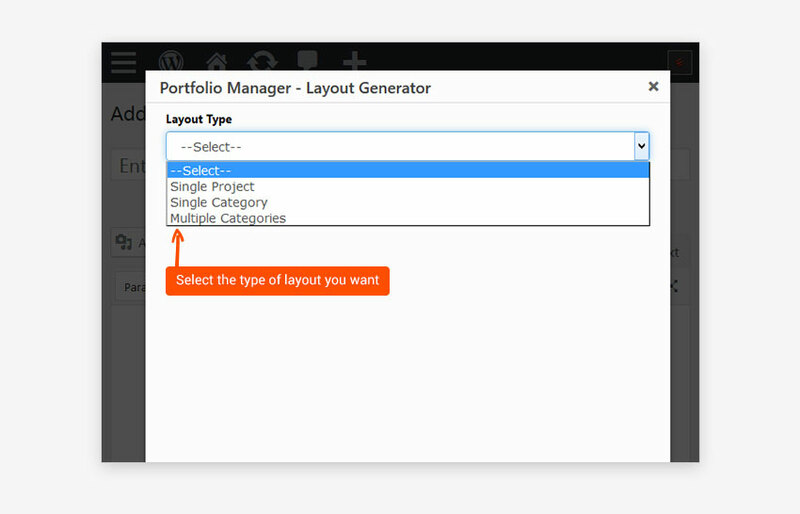 This layout mode will display projects from multiple categories using a mosaic/grid view. You can customize the Navigation Buttons of the Project, change the button text, show/hide Arrows etc. You can show/hide different areas and content of the project using the Advanced tab. You can add your own custom CSS rules here as well.